Volume (sliced) data is expensive to acquire but, once recorded, it provides many possibilities for further analysis. 3D measurements or manipulations of the digital object can be performed at any time in the future. Standard medical imaging techniques can be used for volume recording. Medical Computed Tomography (medCT) is useful when studying fossil skeletal remains such as bones and teeth. CT scans are composed of stacks of slices (cross sections) consisting of digital picture units called voxels (three-dimensional pixels). The volume data can be viewed either slice by slice or rendered as an object with a realistic three-dimensional surface. The virtual object can be displayed on the computer screen scaled, magnified, rotated, cut, moved, measured or photographed. Today, Micro-Computed Tomography (µCT) became a standard in anthropological research. Spatial resolution is considerably higher (usually between 1-80µm) but availability of such scanners is still low, particularly in many countries where important fossils are housed. 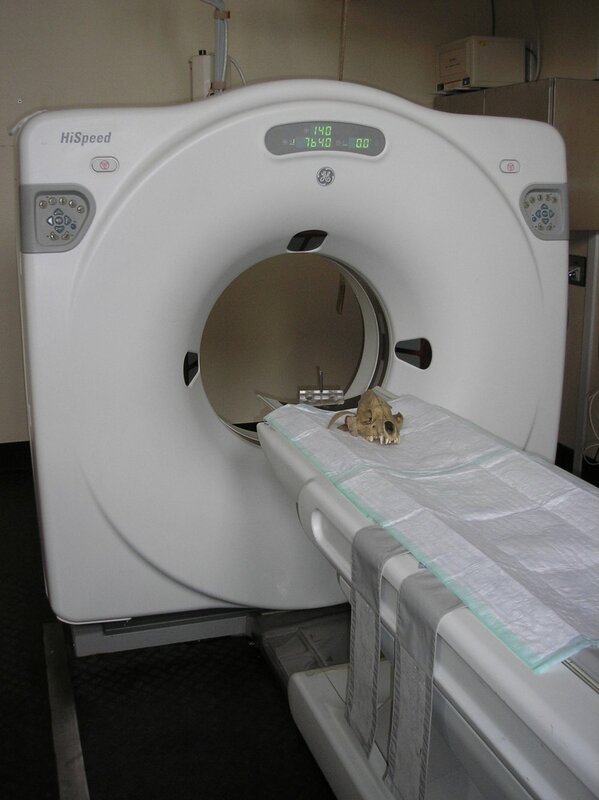 Common µCT scanner can only handle objects of small to moderate size (10-100mm). 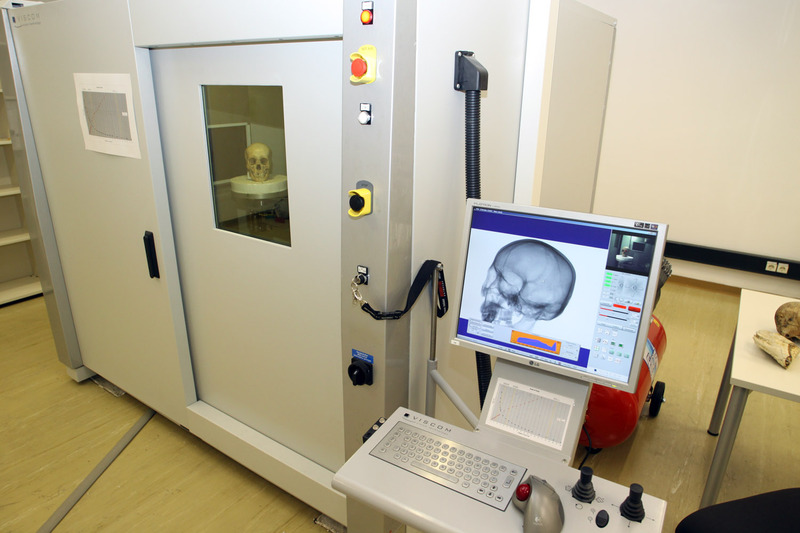 Some scanners such as our VISCOM X8060 (http://www.micro-ct.at/) were built to facilitate scans of large and long objects such as whole skulls or long bones. A related kind of data, but acquired with a different method based on radiofrequency pulses, is produced by Magnetic Resonance Imaging (MRI). In contrast to CT, this technique is sensitive to hydrogen nuclei spin orientation and thus best applicable to specimens in vivo because of the water they contain. Mineralized bone delivers none or only weak signals but soft tissue like brain or organ tissue is well perceived.